The head of the Canadian Security Intelligence Service says his agency is "more and more preoccupied" with the threat of violent right-wing extremism and white supremacists. 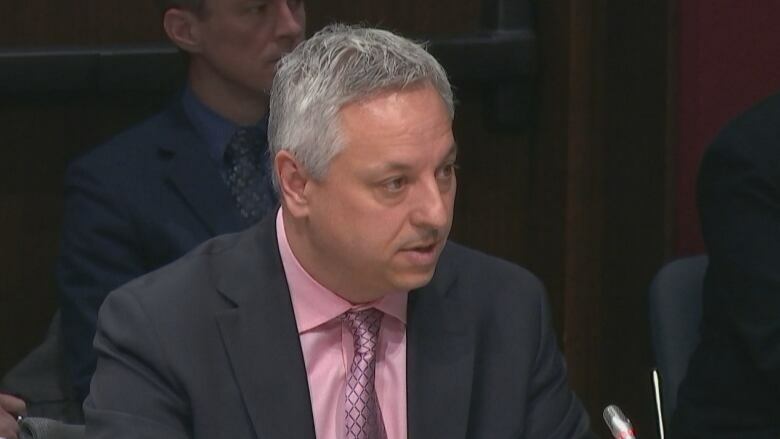 CSIS Director David Vigneault told a Senate committee earlier today that his agency is very troubled by "the number of ultra right-wing extremists" active in Canada, citing the 2017 firearm attack on a Quebec City mosque and a 2018 vehicle-ramming attack in Toronto. "We are seeing people using the methods of the terrorists to cause harm, and here I refer to the attack in Toronto by someone invoking the philosophy of the involuntary celibates," said Vigneault in a rare public appearance. "What was striking is that the philosophy was one thing — the person wanted to cause harm and fear in the population — but he used a technique that had been perfected by terrorists." After the attack, a Facebook post attributed to Minassian started circulating online; it indicated he may have identified as an 'incel', or 'involuntarily celibate' man. The term 'incel' has been associated with some particularly misogynistic online hate speech. Alexandre Bissonnette, 29, was sentenced to life in prison for killing six people in a gun attack on a Quebec City mosque in 2017. He won't be eligible for parole for 40 years. Vigneault was answering a question from Conservative Senator Victor Oh regarding the greatest threats to Canada's national security. "Traditionally, in the last number of years we've seen that form of extremism leading to violence being people invoking religion, Islam," he said. "All of these threats are underpinned by ... very significant progress on the technology side. People who have ill intent are using advances in technology, communications, encryption to hide their activities," he said. Vigneault went before the Senate's national security and defence committee today to take questions regarding Bill C-59, the government's national security omnibus bill. "You have said that white supremacy is one of the agents that you think are of the biggest risk to our Western democracies, and with all due respect minister, I think that flies in the face of reality over the last two decades," he said. "I would find it disturbing to believe that there is a politician in this country that believes that white supremacy is a threat to our way of life in Canada, to our communities, to our democracy." Freeland said she "absolutely" believes white supremacist activity poses a danger to Canadians. "I think they are a grave and real threat here in Canada and they are a grave threat in many other countries around the world," she said. "I absolutely believe we need to name that threat. We need to be aware of it and we need to work hard to find ways to protect our societies and our people from it. "And I would add, senator, that of course Islamic extremist terrorism is and has been a great threat. And Canada and Canadian men and women in uniform have gone out and fought that threat, when there have been terrorist attacks motivated by Islamic extremism." "My point remains, contrary to the attempted smears by you and your colleagues, on [Conservative Leader Andrew Scheer] no Western, democratic politician condones extremism of any kind, including white supremacy. Extremism in all forms is a threat to our way of life, not just one or the other," he tweeted. "This is just another attempt by you and your government to further divide Canadians and pitting us against each other, all for your own political gain. And that's disgusting." When asked about Housakos's remarks, Scheer said he has spoken to the senator and he clarified his remarks. "I 100 per cent denounce anyone who promotes racist ideology and promotes white nationalism or any type of extremism. I do believe it's a threat in Canada," he told reporters. "It is pathetic and disgusting that Liberals are inflaming these threats to divide Canadians and score cheap points."